Our engineering for weighing offers more than 150 fact-filled pages that offer a wide range of information on applications with load cells and weigh modules to help you create an ideal weighing and inventory control system. Engineering calculations that account for the effects of wind, seismic, shock, and thermal effects on your weighing system. Creating tank piping-connection designs in the context with support structure and foundation. Qualification guidelines for structural, foundation, electrical and mechanical considerations to ensure best accuracy. This comprehensive library of information on tank-weighing and customized scale design will help those in engineering, operations or integration apply and use weigh modules and load cells. Weigh Module Systems is the most comprehensive handbook for the design of tank-based weighing systems and the application of load cells and weigh modules available in the industrial market today. If you work in engineering, operations, or integration and desire a complete library of information regarding the application and use of load cells and weigh modules in tank-based storage and weighing systems, then this free, downloadable English-language resource is for you. This comprehensive guide also contains a chemical resistance resource chart that compares more than 30 types of steel, composites and finishes with more than 400 chemicals, solvents and materials to help ensure tank-scale system safety and longevity. More than 10 additional useful appendices combine to make your tank weigh-system design process faster and easier than ever. 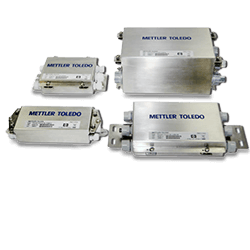 METTLER TOLEDO’s new PowerMount™ weigh modules and POWERMOUNT® load cells provide predictive maintenance features to improve Overall Efficiency (OEE). 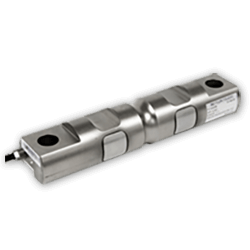 Their condition monitoring features continuously monitor load cell performance, discovering variances before they impact productivity. This allows manufacturers to stay in control of processes and avoid mistakes before they cost money. Without the kind of continuous monitoring offered by POWERCELL®, errors such as load cell overload, poor communication between modules, out-of-symmetry errors, and out-of-range temperatures can go unnoticed for long periods. When they do, out-of-specification batches and poor quality product are the result. Significant costs and damage to company reputation can occur. 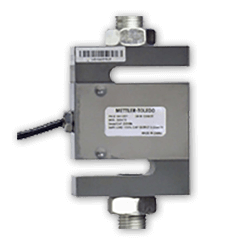 PowerMountTM POWERCELL®- equipped load cells with on-board microprocessors not only alert operators to performance degradation — they also adjust the weighing signal to compensate for environmental changes. 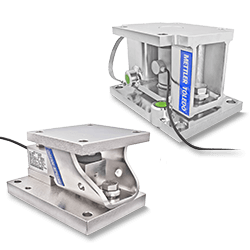 This allows PowerMount™ weigh modules to provide accurate weighing regardless of the effects of temperature, linearity, hysteresis, and creep. In the unlikely event of load cell failure, PowerMount’s design also makes individual load cells easy to replace.cle. 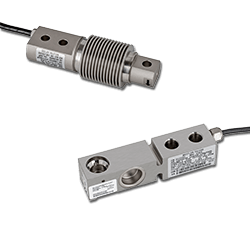 Strain gauge load cells are used in multiples (typically 3 or 4) in weighing systems, tank scales and conveyor scales.